This below e-mail was sent to Sivarama Swami through the e-mail address (asksrs@gmail.com) provided on this website. I hope that the devotees in charge of receiving the e-mails will forward the e-mail to Maharaja. In the meantime I will look for another e-mail address of his. Dear Sivarama Swami. Dandavat pranama. Jaya Srila Prabhupada. I apologize if answering this letter becomes a burden on your many other responsibilities. Recently I heard a podcast from your website where you respond to a few questions about the changes made to Srila Prabhupada’s books. I have a few comments and points I find important in relation to your response, and I hope you will find the time to answer each of them. This is an open letter, so it will also be posted online. I wanted to send the below e-mail to Bir Krishna Goswami personally. But the e-mail on his website is not working. I am now looking for another e-mail address, and any help in this regard is welcomed. But since the letter is an open letter I am posting it here on Arsa-Prayoga and hope that Maharaja will see it. Dear Bir Krishna Goswami. Dandavat pranama. Jaya Srila Prabhupada. I would like to apologize if answering this letter becomes a burden on your many other responsibilities. ISKCON’s Changes to Srila Prabhupada’s Bhagavad-gita As It Is and Perfect Questions, Perfect Answers (by Madhudvisa Dasa). Perhaps the first book on the book changes. So old it was made with a typewriter. Definitely of both present day and historical value. It contains a lot of good evidence against the changes, good arguments and historical documentation (like mails). Download the book here: ISKCON’s Changes to Srila Prabhupada’s Bhagavad-gita As It Is and Perfect Questions, Perfect Answers (by Madhudvisa Dasa). Jul 28, 2014 — GLOBAL (SUN) — Srila Prabhupada wasn’t involved at any stage of the production? Yet there appears to be a disconnect between Jayadvaita Swami’s version of history and the evidence on record. It is well known that Srila Prabhupada indicated on many occasions that he wanted to be relieved from management to concentrate on writing. However, due to various shortcomings on our part we saw him take the helm time and time again to correct the course of his mission. 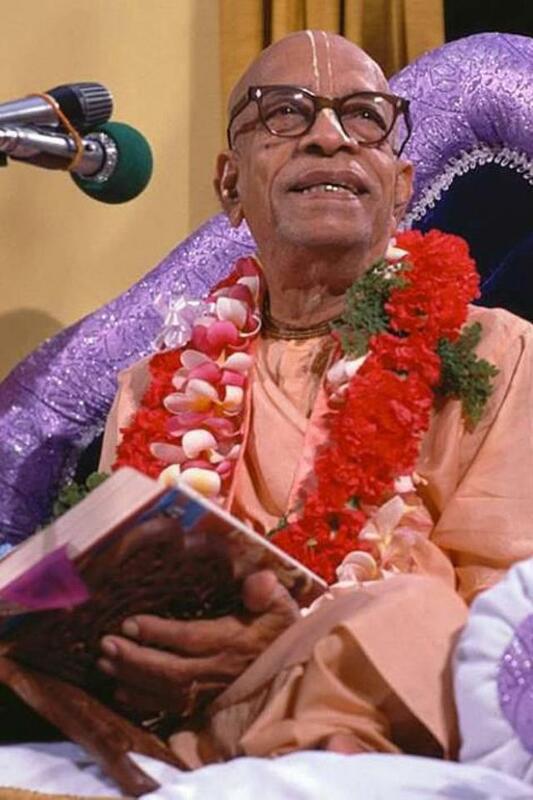 We get the vivid impression from Jayadvaita Swami that Srila Prabhupada entrusted all aspects of book production and publishing to his disciples, thus perpetrating the myth that His Divine Grace was a passive author who, once the writing was done, simply handed the ball off to Jayadvaita and a few others to finish everything; that he wasn’t necessarily concerned with or even fully aware of the nuts and bolts of the process and that he didn’t always see the big picture. And that somehow Jayadvaita knew what His Divine Grace would have approved or not approved. Might this be a tad presumptuous? Could it be that Jayadvaita wasn’t aware of how involved Srila Prabhupada was in the production and publication of his Bhagavad-gita and that he (Jayadvaita) was not the only person Prabhupada was communicating and interacting with? The following conversations and correspondence are just a sampling of the communications between His Divine Grace and others from 1969 thru 1972 regarding the publishing of his unabridged Bhagavad-gita As It Is. For the sake of brevity, we have only used excerpts from these communications. We encourage everyone to look at the full text in the Bhaktivedanta Vedabase to understand Srila Prabhupada’s depth of involvement in the details of publishing, and to study the complete history of events to truly appreciate the astonishing number of people, publications and issues Srila Prabhupada was dealing with. These citations show that in addition to writing, His Divine Grace was involved in approving layouts, deciding on book binding, directing artists, corresponding with his editors, studying printing options, contacting MacMillan, reviewing contracts, fund raising and more. Again, these citations only reference his work on the unabridged Gita — Srila Prabhupada was working on several titles simultaneously. And book publishing was but one facet of his mission. Prabhupada: One thing may appear to be very simple and to other, terse, but you do your own duty. Another thing: where is the Bhagavad-gita with my full translation and synonyms? Where is that manuscript? Hayagriva: I have… There are several existing manuscripts. I have… The manuscript I went over is in Columbus. Hayagriva: The total manuscript is there. Prabhupada: So we have to prepare for next publication, revised and enlarged, giving in the same process: original verse, transliteration, synonyms, and translation, and purport…. Jayadvaita: There’s another manuscript of Bhagavad-gita also in New York, the original. Prabhupada: Oh. You have got? Jayadvaita: Yes. It’s in New York except for the first two chapters. Everything else is there. Prabhupada: So first two chapters might be with Janardana. But you have got the whole thing, Hayagriva. Hayagriva: Yes. That has been… I have gone over that, the one I have. The one that is in New York, no one has gone over that. Jayadvaita: Some of it has been edited by Rayarama, but you can see around it and go to the original behind it. Prabhupada: So whatever is lacking, you ask me. I will supply you. Hayagriva: Well, I have nothing lacking. But I would like to see that version. Hayagriva: I would like to see that in going over mine. I’ll have to go over it chapter by chapter. But I will compare the version I have with that version, and… I know the translations themselves, they were somewhat changed in Bhagavad-gita As It Is as it came out in Macmillan. Did you like those translations? Prabhupada: Whichever is better, you think. That’s all. You can follow this Macmillan. Hayagriva: That was the second… They’re good. I think they’re very good. Prabhupada: Yes. You can follow that translation. Simply synonyms he can add, transliterations. Hayagriva: And we have all the purports. We can include everything. Nothing will be deleted. Everything will be in there. “So what you are now doing on the Bhagavad Gita manuscript is alright, do it nicely…. “Regarding my book, THE BHAGAVAD GITA AS IT IS, I beg to inform you that when I had originally submitted the manuscript to Mr. James Wade he informed me that it had to be considerably shortened due to production requirements. “Try and get KRSNA book and Bhagavad-gita AS IT IS recommended by the professors. “Regarding the MacMillan agreement, Brahmananda says that he left everything with Rupanuga when he left N.Y. So kindly inquire from him. So far I know the agreement was made that my royalty would be paid directly to the society. In the beginning they paid me $1,000. and later on I think I got another $600. Besides this I have never received any money from them. If they paid anything it may have been paid directly to N.Y. ISKCON. So you can inquire and do the needful…. ***ON MAY 29TH 1972, THE DAY AFTER SRILA PRABHUPADA APPROVES THE BHAGAVAD-GITABLUE-PRINT, HE SIGNS THE BHAKTIVEDANTA BOOK TRUST FOUNDING DOCUMENT THUS CREATING THE BBT. 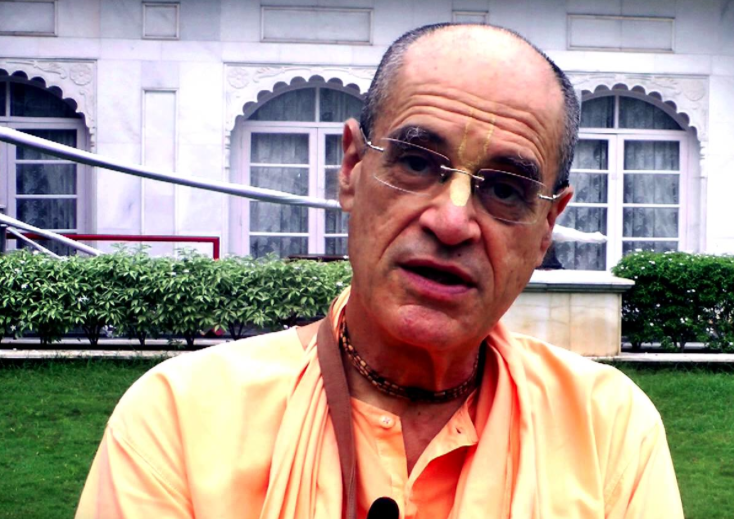 Govinda dasi: Srila Prabhupada didn’t see the galley proofs? Govinda dasi: There must be some preliminary, something that he went over, if he didn’t see the final galley proofs. Jayadvaita Maharaja: Not that I remember. Jayadvaita Maharaja: As far as I remember, he didn’t. He was just… the main thing that he was asking was, “Where is it? I’ve been hearing, ‘Just now coming, just now coming;’ I’ve been hearing that for some time now—where is the book?” The main thing that we were hearing from Prabhupada was, “Where is it?” And, um, Prabhupada at that time was already traveling extensively, um, around the world, and, uh, there was just none of this, there was no opportunity to like send Prabhupada back and forth, like sending him the second chapter and getting it back and asking questions; it just didn’t happen. Govinda dasi: Hayagriva was living with Srila Prabhupada in ’68, and they were going over things, and that was after this book [the abridged edition] was printed. So that must have been for the ’72 one. Jayadvaita Maharaja: He may have, for some brief time, spent some time with Prabhupada. It’s possible. Um, but the final product was certainly not, um, something that Prabhupada, um, you know, pored over the original, he just didn’t have, couldn’t possibly have the… I could tell you that some of the verses that some of the BBT staff questioned, Prabhupada would never have approved. I can say with confidence, Prabhupada would never have approved. Some of the very few verses that we had issues with, there’s no question in my mind that Prabhupada didn’t see them. In the 15 months prior to Srila Prabhupada approving the 1972 Bhagavad-gita blue-print/galleyproof, Jayadvaita wrote to His Divine Grace on six different occasions regarding book production. Srila Prabhupada replied each time, often with detailed explanations and instructions. Though the statements found in some of these letters (see below) refer to books other than Bhagavad-gita, they are still a definitive indication that Srila Prabhupada had made himself available for final proofreading, questions on editing, and other details of book production, and that he already was communicating and interacting with Jayadvaita on such matters. Jayadvaita: [referring to the “original” manuscript] Some of it has been edited by Rayarama, but you can see around it and go to the original behind it. Srila Prabhupada: So whatever is lacking, you ask me. I will supply you. Why, then, did Jayadvaita Swami state there was no opportunity, and why didn’t he ask his questions when he had the chance? “My Dear Jayadvaita, Please accept my blessings. I am in due receipt of your letter dated 21st February, 1971 and noted the contents carefully. I do not know what may have happened to the letter dated 9th January, 1971, but I have not received it. 12:12: The ultimate point is to come to the stage of loving Krsna and all other indirect processes are subsidiary…. 14:27: Impersonal Brahman is the constitutional position of ultimate happiness because without coming to the brahma-bhutah platform and remaining engaged in the activities of brahman nobody can be joyful…. “I am in due receipt of your letter dated 10th July, 1971 and have noted the contents. Also I have received the laid-out sheets for tapes no. 1 & 2 and they are very well done. Thank you very much. I was so much pleased to see that already the tapes were edited and laid out and this is encouraging me to translate more and more. You can give Ch. 8 of S.B. canto 4 the title “Dhruva Maharaja enters the forest to meet the Lord”. In total, Jayadvaita corresponded with His Divine Grace on six different occasions between February 1971 and May 1972. Please find all the three e-mails in their entirety here: http://jayasrikrishna.weebly.com (PDF and Word). You can also see and download the e-mails here as PDF and Word. In the following we will discuss the article “No More Cattle Raising on the Planet of the Trees” that was recently posted on the Dandavats website (http://www.dandavats.com/?p=14403). The author attempts to prove that Srila Prabhupada instructed his editors to make changes and corrections to his books after his disappearance. In support of his conclusions the author quotes from the “Rascal Editors” conversation and from a mail exchange between Ramesvara Dasa and Tamala Krishna Goswami. WHO will ultimately confirm and authorize the editing? So it seems the four above mentioned devotees were not just changing the books themselves. They were sending their changes to Srila Prabhupada for final approval. This seems to be the procedure that Tamala Krishna Goswami is talking about. By leaving the sentence about the edits to the fifth canto out the author commits the fallacy of “selective evidence” http://en.wikipedia.org/wiki/Cherry_picking_(fallacy). Some might argue that MAYBE the changes to the fifth canto were the only changes that were sent to Srila Prabhupada, and not any other changes. But “maybe” is guesswork. And we do not make changes to the books of the acaryas based on guesswork (maybe, I think, perhaps etc). A principle of caution must be observed in editing Srila Prabhupada’s books. Better safe than sorry! So contrary to what the author argues we find no evidence in the exchange between Ramesvara Prabhu and Tamala Krishna Goswami to support the conclusion that these four above mentioned devotees could edit without having Srila Prabhupada approve or disapprove all their changes. The author’s conclusion about posthumous editing simply does not follow from it’s premises, and therefore he also commits the logical fallacy “non sequitur” (http://en.wikipedia.org/wiki/Non_sequitur_(logic)) which cover all arguments in which the conclusion does not follow from the premises. Another very important point is that neither in the “Rascal Editors” conversation nor in the exchange between Tamala Krishna Goswami and Ramesvara Dasa do we find any information about posthumous editing. They were spoken/written within a context where Srila Prabhupada was around to approve or disapprove the editing work of BBT. The conversation and the letters came into existence because Srila Prabhupada and some of his disciples were dissatisfied with some of the editing work done by the BBT – not because anyone asked Srila Prabhupada about how editing should be done after his disappearance. 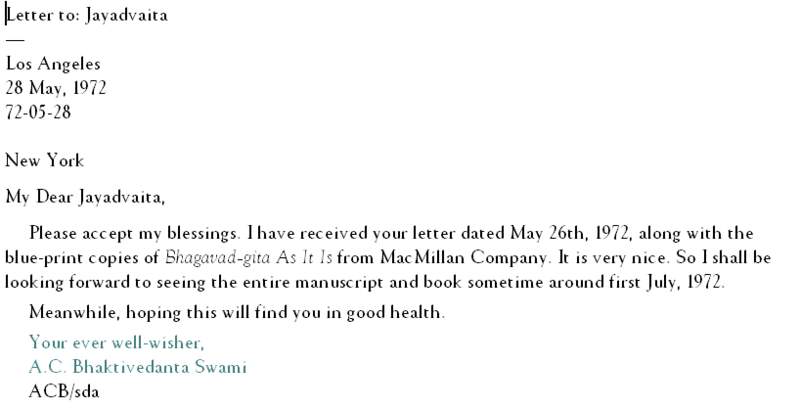 The letter was signed by Srila Prabhupada, but was written by Tamala Krishna Goswami. So we cannot know for certain how Srila Prabhupada understood and interpreted the words “in the future”. We cannot even be sure he took special notice of the words. We humans often use “in the future we should do such and such” in a very unspecified way – and often it is implicit that there is a timeframe involved, or that if certain factors are changed then the procedure must also be changed or stopped. For example, if I tell my wife that “in the future” the procedure is that she should have my breakfast ready at 9:00a.m., then I do not also have to state the obvious fact that if I die today, then she should stop that practice tomorrow. Similarly, based on sastra and Srila Prabhupada’s clear instructions on the arsa-prayoga principle it can be argued that he did not also have to tell his editors that if he leaves his body, then they should stop the editing. At least there is NO PROOF for the contention that the editing should continue. If one states that the words “in the future” also refers to the time after Srila Prabhupada left his body, then one is clinging to the same faulty reasoning as the ritviks. Ritviks state that the word “henceforward” in the famous July 9th letter (also written by Tamala Krishna Goswami and signed by Srila Prabhupada) should be taken to mean that ritvik initiations should continue after Srila Prabhupada’s disappearance. But neither the author nor any other ISKON leader will accept that interpretation of the word “henceforward” in the July 9th letter. Thus they have a double standard – i.e. they apply a different set of principles for similar situations. Unless the author wants to fall prey to the same faulty reasoning as the ritviks, he has to admit that there is no proof that “in the future” refers to the time after Srila Prabhupada’s disappearance. Nothing seems to suggest that the instructions on book editing given by Srila Prabhupada in the “Rascal Editors” conversation and in the exchange between Ramesvara Dasa and Tamala Krishna Goswami can be extrapolated into a context where Srila Prabhupada is no longer around. So by insisting on this unjustified extrapolation the author is effectively invalidating his own argument by committing the logical fallacy of quoting out of context/contextomy (http://en.wikipedia.org/wiki/Fallacy_of_quoting_out_of_context). We do not have one single instruction from Srila Prabhupada where he allows for posthumous editing of his books. However, he actually taught us how to deal with the transcendental mistakes of the acaryas. Prabhupada: This of should be strictly forbidden. Radha-vallabha: So no corrections. That makes it simple. Prabhupada: They can divide the synonyms. That’s all. Prabhupada: That is his tendency, to correct. That’s very bad. He should not do that. Radha-vallabha: So I’ll just forget this, then. Prabhupada: The system is: whatever authority has done, even there is mistake, it should be accepted. Prabhupada: Arsa-prayoga. That is ha… He should not become more learned than the authority. That is very bad habit…. Prabhupada: Why finish it? Whatever is done is done. No more…. Radha-vallabha: Well, now that this system of no corrections anywhere, that makes it very simple. Then he can’t do anything. I don’t think he wants to, either. It makes it more simple for him. It makes him very uncomfortable. “In the Caitanya-caritāmṛita, Madhya-līlā 9.358, Srila Prabhupāda cites his spiritual master Śrīla Bhaktisiddhānta Sarasvatī Ṭhākura, who points out that in the seventy-fourth verse of this same chapter there is an apparent error made by Kṛṣṇa dāsa, Kavirāja Gosvāmī. Srila Prabhupāda, just to teach us the principle of arsa-prayoga, [please see quotes from Srila Prabhupāda on “arsha-prayoga” at the end of this article] does not touch the words of Kṛṣṇadāsa Kaviraja Goswami, but leaves this apparent error as it is, out of respect for the transcendental book. Even though Srila Prabhupāda’s own spiritual master, the most pure and intimate confidential devotee and associate of Lord Kṛṣṇa and Sri Caitanya Mahāprabhu himself, had clearly pointed out that this is an apparent error and is apparently wrong. Furthermore in the purport to that seventy-fourth verse, mentioned above, Srila Prabhupada mentions nothing; only at the end of the chapter, after Srila Kṛṣṇadāsa Kaviraja concludes his narration, does Srila Prabhupāda even mention the apparent mistake. The article has additional examples and many other interesting points in regard to the topic of book changes. 1) The clear statements about not changing the works of an acarya (the arsa-prayoga principle). 2) Srila Prabhupada’s own example of not touching the mistakes of the previous acaryas. 3) Sastric injunctions on not to correct the mistakes of the acaryas. Besides the obvious problem that none of the changes made post-1977 can be approved by Srila Prabhupada, there is also the problem that HARDLY ANY of the changes made to the Gita have been “sufficiently investigated”. 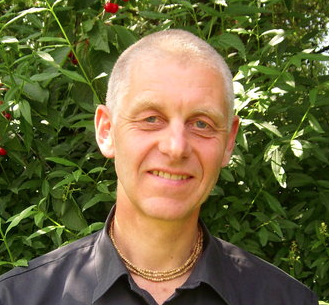 The changes were made by Jayadvaita Swami – more or less alone. And as we see there are many discrepancies in his editing. And most of his changes are directly violating clear instructions from Srila Prabhupada. For example, Srila Prabhupada did not want any needless changes. But the Gita (and other books) is filled with thousands of needless changes. Many of these are mentioned in the e-book “No Reply from BBTI” which is easily found by searching the internet. We are changing Srila Prabhupada’s books back to what he actually said in his original manuscript. We are making the book “Closer to Prabhupada”. We are only correcting grammar, commas, capitalization etc. We are only correcting the mistakes of previous editors. No unnecessary changes have been made. Deleted many of Srila Prabhupada’s own chosen words and sentences (even those also found in his ”original manuscript”). Added their own words and sentences (which means these words and sentences are also not to be found in the ”original manuscript”). Changed Srila Prabhupada’s own personally typewritten sanskrit translations. Made needless change of syntax (sentence structure). So even if we – for the sake of argument – accept the conclusion that some changes could be made posthumously (for which there is no evidence), then we would still be in a situation where the BBTI has violated the instructions on how Srila Prabhupada wanted his books edited while he was still around to supervise the work. All the articles in “No Reply from BBTI” have been sent to Jayadvaita Swami, Dravida Dasa, BBTI and the author of “No More Cattle Raising on the Planet of the Trees”. But so far we have received no replies to the points raised – hence the name “No Reply from BBTI”. We humbly ask you to read this e-book, and also visit the many different websites made by devotees who are skeptic towards the changes to Srila Prabhupada’s books. The author of this article shall promptly send you links to “No Reply from BBTI” and other relevant websites on your request.